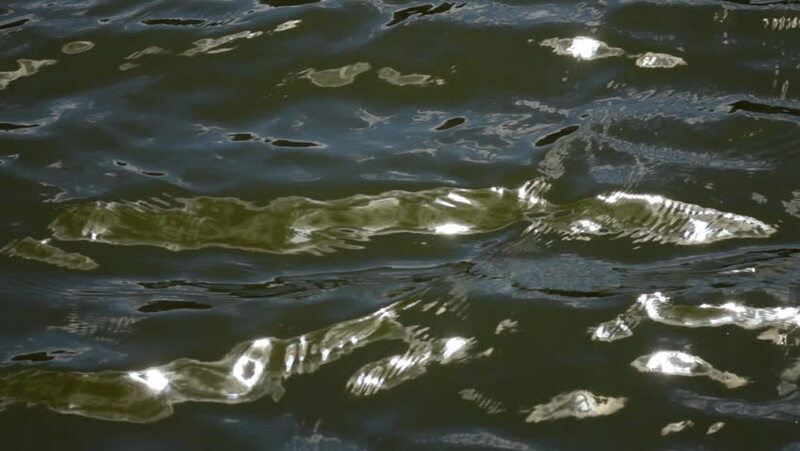 Slow motion of waves on green water surface with play of sunshine flecks close up. Amazing dramatic natural background for excellent intro in hypnotic HD. Liquid mirror with mind bending reflection. hd00:11A group of fish swimming in the pond in the garden. Viewing fish in the pond can reduce stress.